Mardi Gras is such a fun tradition and celebration in Louisiana (and other places). 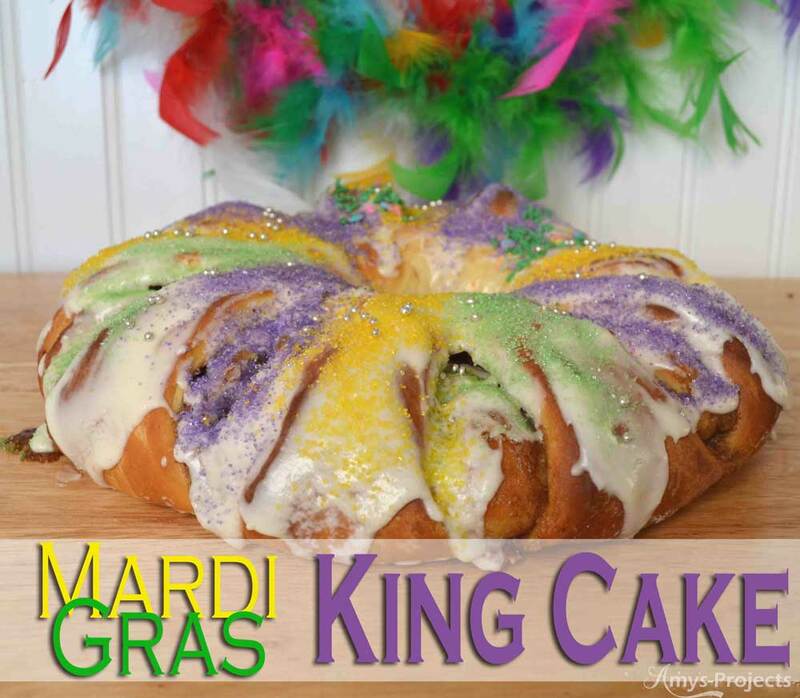 No Mardi Gras party is complete without a delicious king cake. My in-laws have their favorite bakeries to get a king cake. However since we are in Utah, they don’t sell them so we make our own. Homemade king cake is so good. 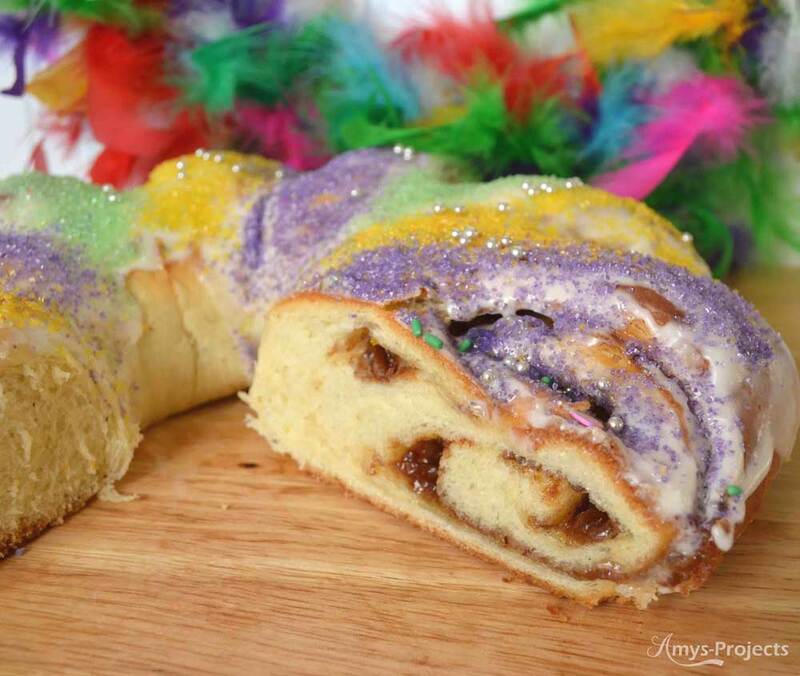 King Cake is basically a sweet roll that is cooked in a ring shape. 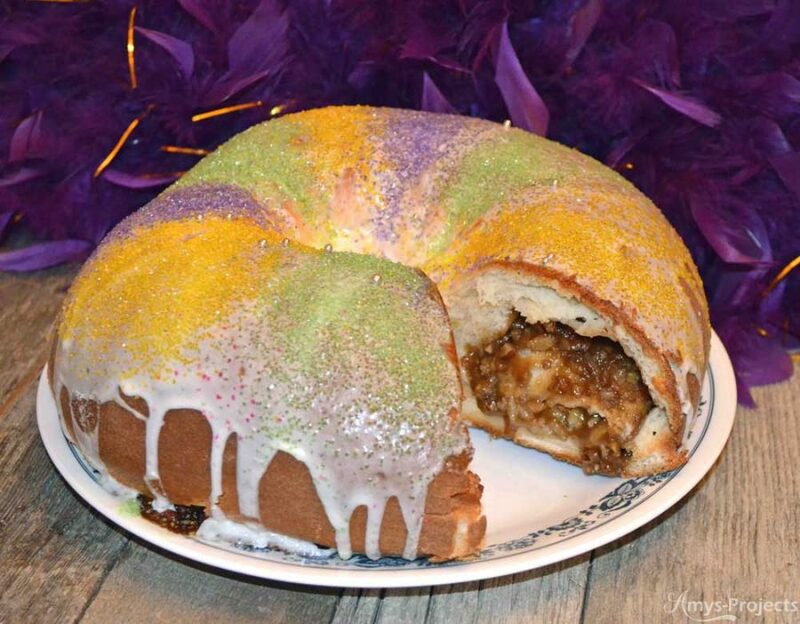 For this king cake, I used my favorite sweet bread recipe – cardamom bread and filled it with gooey goodness. Normally there is a baby, but I already know that I’m making it each year, so I don’t bother. 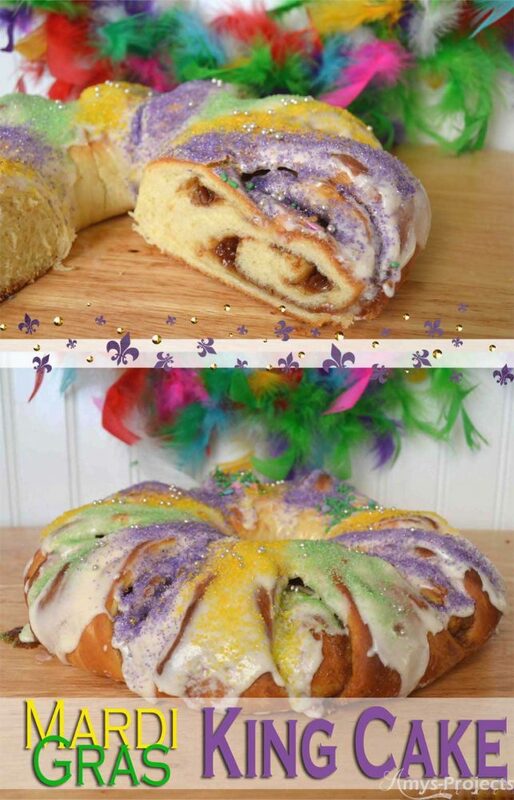 There is a lot of tradition with the king cake that you can check out on wiki. Heat the milk and butter until the butter is melted and let cool. In a bowl, combine the warm water and yeast and let the yeast proof, about 5 minutes. When the milk is luke warm mix in the sugar, salt, eggs, cardamom and orange zest. Add the milk mixture to the yeast and mix together. Mix in the flour, start with 3 cups and mix smooth, add another 3 cups and mix smooth. Add 2 – 2 1/2 cups of flour and mix in. Turn the dough out on a floured surface. 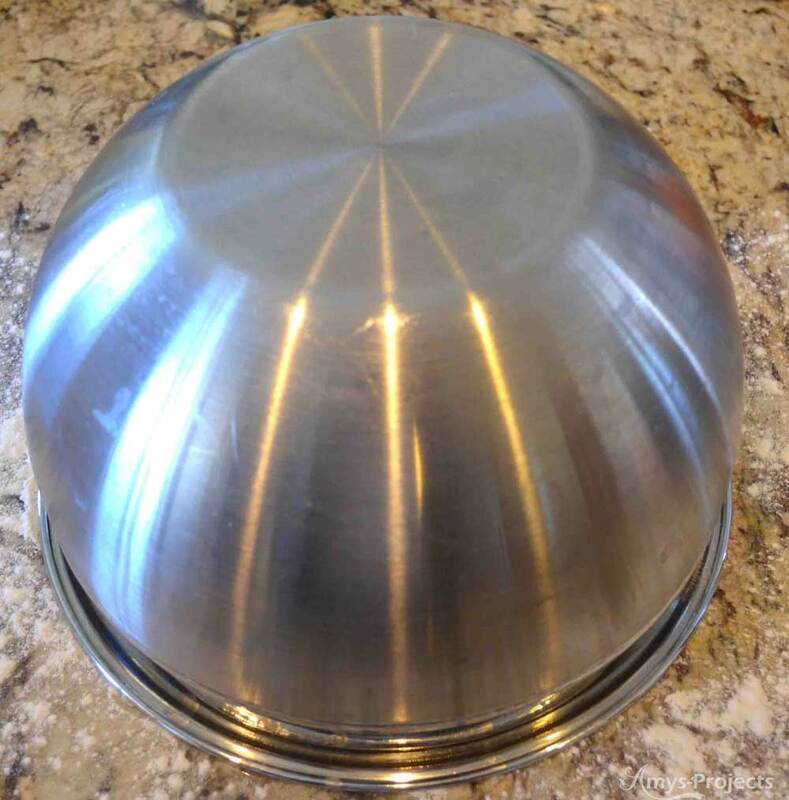 Cover with a large mixing bowl for 15 minutes. 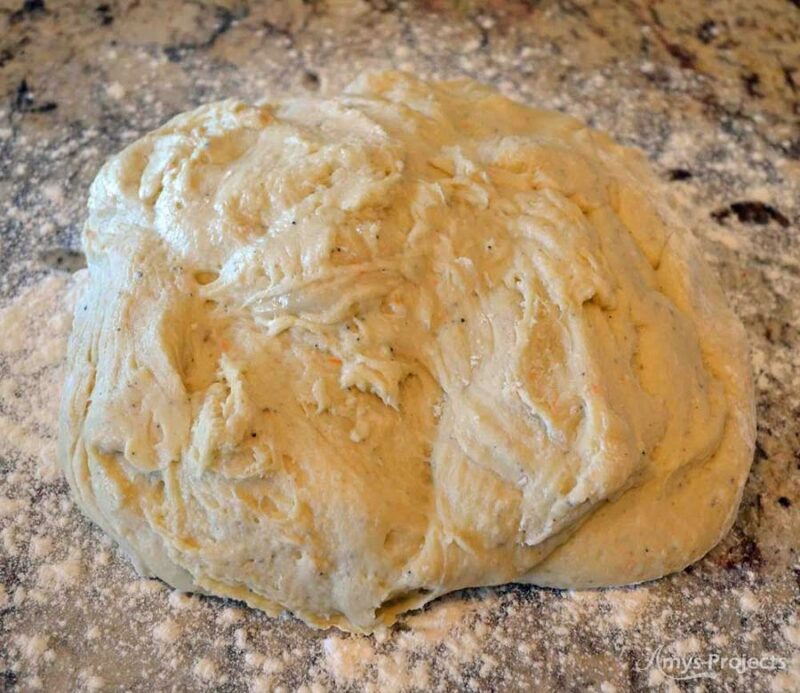 Then knead the dough for a few minutes and place in a grease bowl and allow to raise until double the size. Combine all of the dry ingredients, then mix in the butter with a fork. Punch down the dough and separate into 2 balls. Set one half aside. 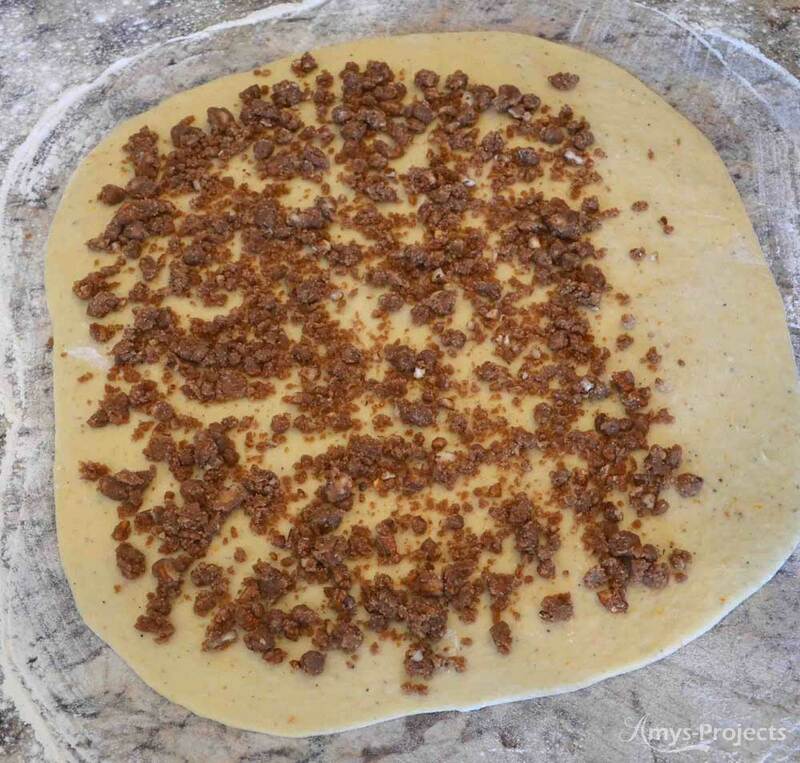 Roll out dough into a large rectangle/square. 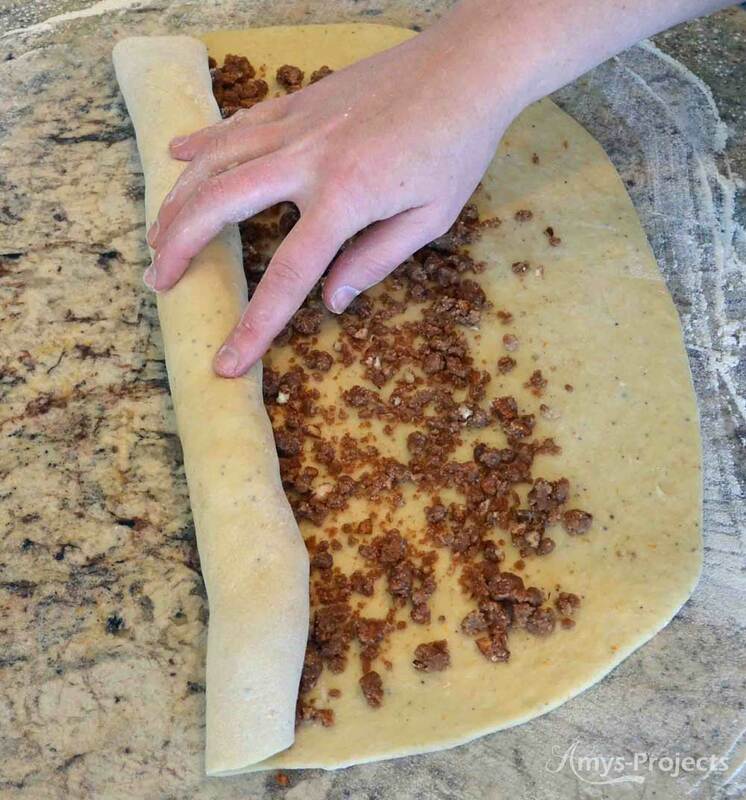 Sprinkle half of the filling onto the dough. 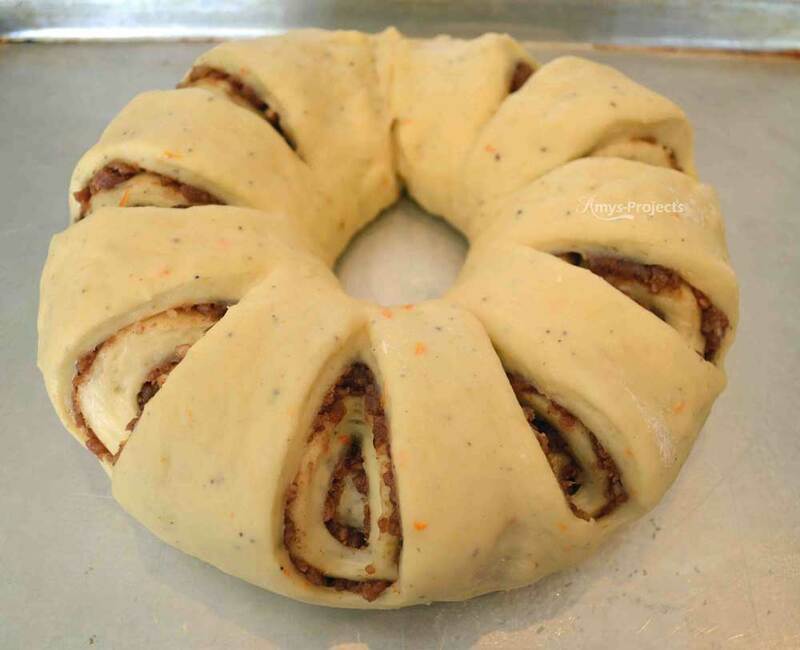 Roll up the dough and filling. Form dough into a circle and pinch the dough ends together. Place the ring on a greased cookie sheet (use parchment paper if you have it.) Cut slits periodically around the ring and let raise for an hour or so (optional). Repeat for the remaining dough and filling. Bake the king cakes at 375 degrees for 30 minutes. 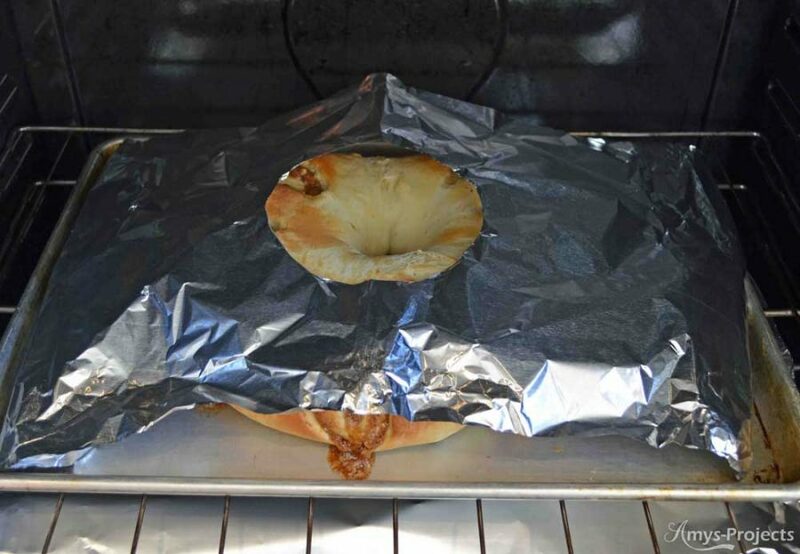 This dough burns easily, place a piece of tinfoil on the lower oven rack, and at about 15 minutes add a piece of tinfoil on top of the ring. I cut a hole in the tinfoil if it looks like the middle needs more browning. Let the cakes cool before adding frosting. Beat the softened butter, powdered sugar and vanilla. Add milk as needed. Spread on a cooled cake (slightly warm is ok). Sprinkle with purple, yellow, and green sprinkles. Enjoy! 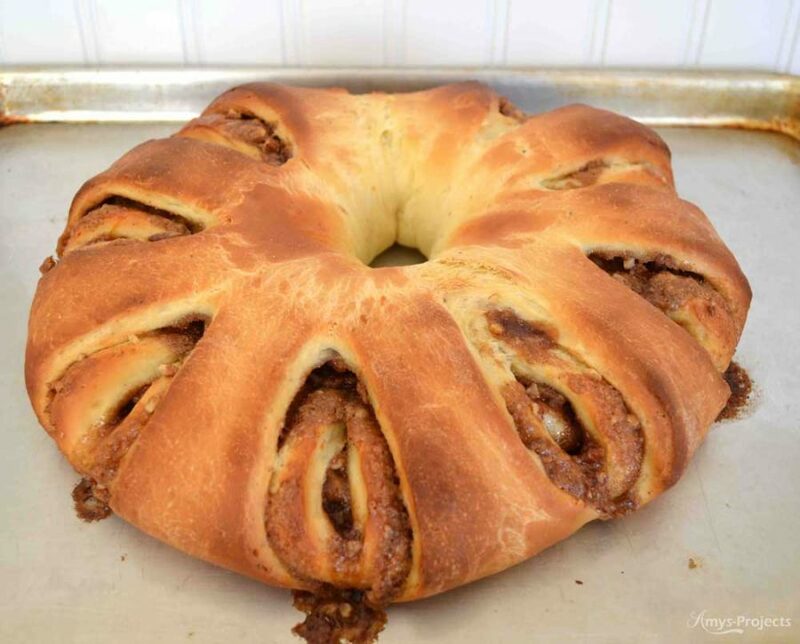 This is last years king cake, no slits and more gooey filling.